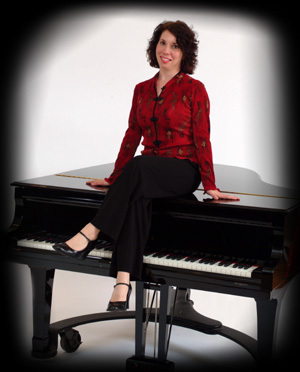 Since receiving her Bachelor’s and Master’s Degree from the Juilliard School when she was 21, pianist Beth Sussman has performed extensively in the United States and Europe. Career highlights include solo recitals at the Orange County Performing Arts Center, Gindi Auditorium in Los Angeles, The Ravinia Festival (summer home of the Chicago Symphony), and the Chautauqua Music Festival. She has been guest soloist with the Juilliard Symphony at Lincoln Center. Beth has also given live recitals on radio stations KUSC (Los Angeles), WFMT (Chicago) and WQXR (New York). Beth has been the winner of several piano competitions and was awarded one of the most prestigious piano prizes at Juilliard for three consecutive years. She has been performing her interactive assembly programs in schools for the past several seasons. In 2002, was honored by the Centralia School District after donating her time for a performance to help emotionally heal the children of Centralia Elementary after a tragic accident. Beth recently released a CD featuring the piano music of George Gershwin and Paramount Pictures Television filmed a pilot loosely based on her life which was executive produced by Kelsey Grammer (Frasier).